Canaan’s Avalon ASIC miners do not seem to be getting much attention unlike Bitmain’s for example, but that doesn’t mean they do not have something new and interesting to show from time to time. Their latest creation Canaan Moose is an integrated Bitcoin ASIC miner solution that offers 156 THS SHA256 hashrate for BTC mining in a single package that is ready to be plugged in and start mining. 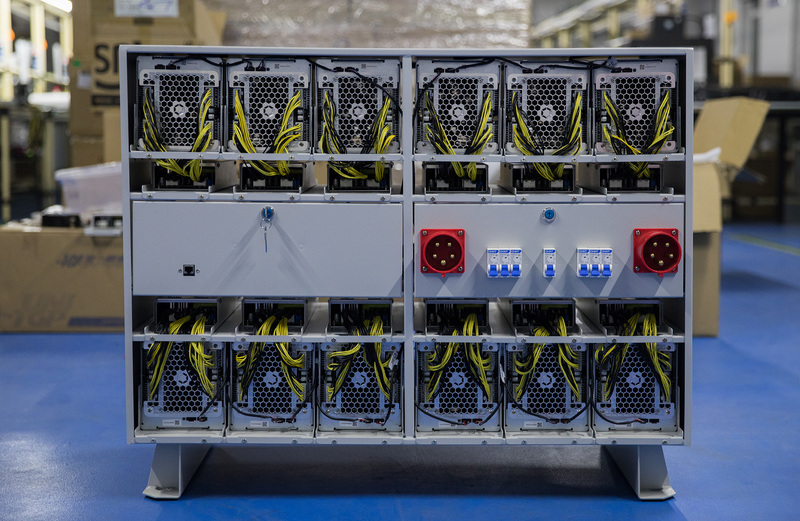 The miner is based on twelve Avalon 841 that consume a total of 15480 Watts of power and the miner needs three phase power in the from of two IEC 60309 16A power connectors. The 156 THS Canaan Moose ASIC miner is priced at $9900 USD and comes with everything ready to be used, you just need to plug power and internet and set your mining pool and worker. No need to setup things using 12 separate ASIC miners, everything is ready to go with power supplies, network connectivity and miner control. It even seems to come cheaper than purchasing 12 separate miners, 12 power supplies and a miner controller, so it might be of interest to some larger scale miners as a ready to deploy solution… it is even stackable.